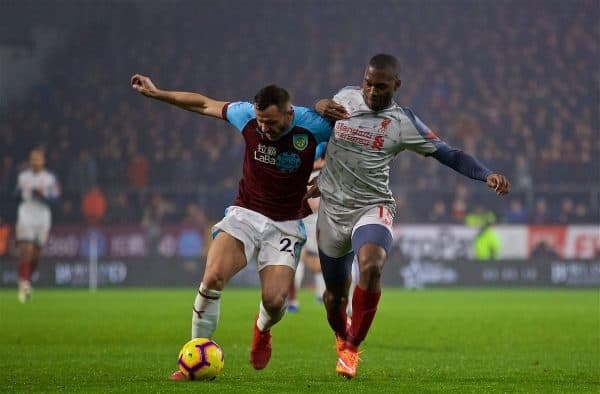 Liverpool beat Burnley 3-1 at Turf Moor on Wednesday with a much-changed side to remain two points off the top in the Premier League. Jurgen Klopp made seven changes to the Reds’ lineup, with Merseyside derby hero Divock Origi one of those coming in alongside the likes of Daniel Sturridge, Alberto Moreno and captain Jordan Henderson, free from suspension. Perhaps predictably, it took some time for the team to find any rhythm in the game, not helped by a serious-looking injury to Joe Gomez early on. 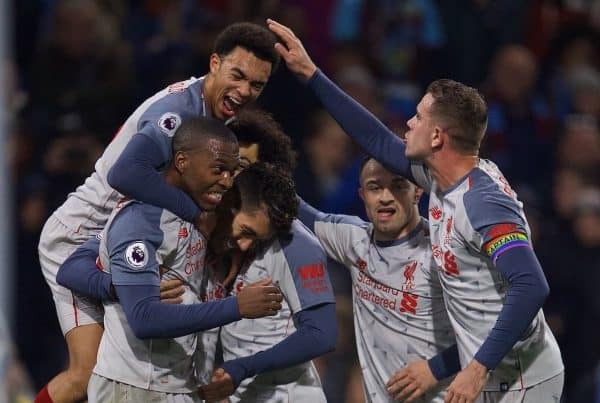 The Reds fell behind after a contentious goal was prodded home by Jack Cork, perhaps after an unseen foul on Alisson, but Klopp’s team stepped up through the gears to turn the match around. Given the relentless nature of the league across the Christmas period and the intensity of the fight at the top of the table, it was a priceless three points on the road. This Is Anfield’s Karl Matchett (@karlmatchett) spoke to Ste Hoare (@stehoare) and Matt Ladson (@mattladson) to get their views on the game and the performances of those who came into the starting XI. KARL: The mainstays of the defence were extremely good and that was important. Continuity in those key areas, amid all that rotation, was vital and Alisson and Van Dijk were both pretty much spot-on all game. I liked the tactical flexibility we showed; sometimes it can seem switches are merely hopeful or without really impacting the game. But against Burnley it gave us a new dimension each time: diamond early, two very central threats after the double subs, 4-2-3-1 for more stability after we took the lead. Also a big nod of appreciation for the correct decision-making in the final third this time, especially on the counter-attack at the end of the game. STE: I was delighted with the character shown by the whole team in the second half. I can’t think of many Liverpool sides in my lifetime that could lose a defender through injury, go one down with 35 minutes left to play, have to make two subs as two players are out on their feet, and still win 3-1. Liverpool keep getting asked questions and they keep answering them. MATT: Last-minute winners and come-from-behind victories are always enjoyable so this was another productive night! The first half wasn’t pretty but it was Burnley away and seven changes, so the way we improved after the break was a major positive for me. Good subs from Klopp was nice to see, positive and early on, showing that the win was essential and not waiting to 80-plus-minutes to make a change. The other major positive was Naby Keita‘s performance, he looked more like the player we expected to be signing and who we saw glimpses of in pre-season. A goal would be great for his confidence so he can really kick on. KARL: First and foremost, the loss of Joe Gomez. Let’s just hope it’s not as long a time out for him as he has previously suffered. On the 90 minutes: Truthfully, there weren’t too many negative points other than we were very little threat in the first half. Divock Origi was a level or two below the talent we want to see, but that’s where he is, so it wasn’t unexpected. The winning goal against Everton didn’t change that, it was just a great moment. Henderson wasn’t particularly influential and Sturridge fared far better as the No. 10 later on rather than leading the line against a packed defence. But no real complaints aside from that! STE: The attacking dynamic simply didn’t work for an hour. 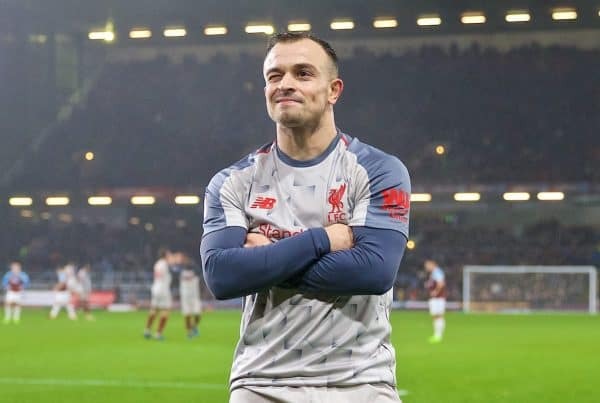 The ends justify the means but starting Shaqiri, Sturridge and Origi was a risk, one I doubt Klopp truly wanted to take. MATT: I didn’t really agree with the Origi selection either and thought we had other/better options. It didn’t matter too much in the end but I can’t see him starting for us again and would think he’ll leave in January. A few players are clearly not as good as those they replaced, but that’s always going to be the case when you rotate. 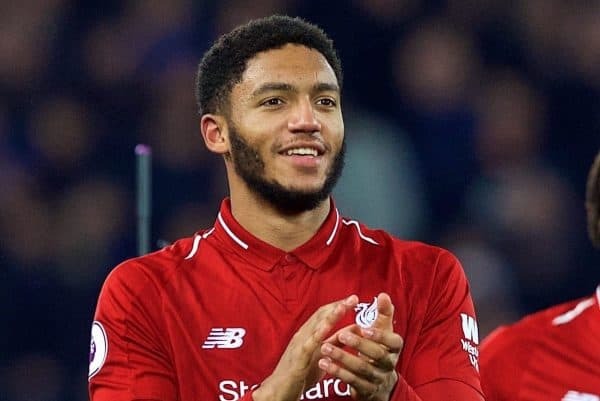 The bad was Joe Gomez‘s injury, a big blow that at just the wrong time of the season. And who impressed, or otherwise, from the players who came into the side? KARL: It was mixed, which is to be expected. The starters really did range from the impressive (Keita), through the ‘largely decent’ (Matip) all the way to downright poor (Origi). Moreno didn’t press his case to be a starter but was solid enough and Sturridge was a lot better when he moved deeper. If Klopp continues with the 4-2-3-1 maybe we’ll see more of him there as Firmino’s alternative, rather than Salah’s leading the line. STE: I thought Keita was the best of the players who came in, he was the only player who really attacked with any purpose for long stretches of the game. Matip did well too; I always worry about his lack of physicality but he coped pretty well. 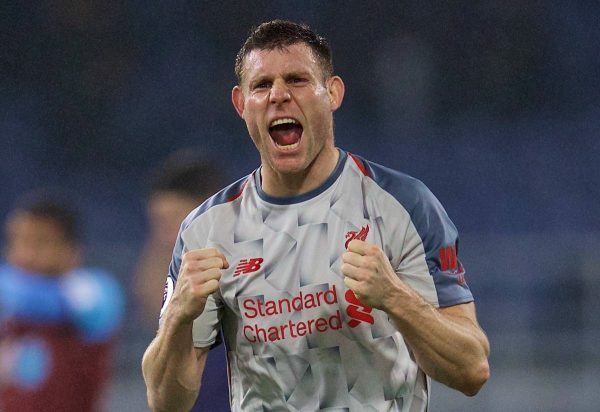 Milner’s goal was great and he had a good second half. I thought Sturridge was poor in the first half but was really, really good after we went 2-1 up. Moreno looked fine and the less said about Origi the better, although he did get an assist! MATT: Moreno looked okay, but I’d prefer Milner at left-back to him! And I thought Matip was poor in the first half but like most got better in the second – rustiness I guess is to be expected. Strange though how we’ve not heard anything on why Lovren wasn’t in the previous squad even before last night, when a clash of heads kept him out.